HF: Our Q+A 26 Tsing Shan Mine (Castle Peak area)? – Japanese occupation, WW2, linked below, asks about a possible mine or mines in the Castle Peak (青山) area as a British Army Aid Group (BAAG) report of 1944 mentions a “rumour” of a mine there. Tsing Shan is the name of the well-known monastery located at the eastern foot of the mountain. Matthew was one of the collaborators in the writing of the book “Hong Kong Mining History”. Post-comment he contacted the Group and writes that a year was spent gathering information about mining in HK including going into the field with GPS to locate the adits above Kwong Shan Tsuen. He says other colloborators have spoken to villagers and believes the sound recordings from these interviews have been kept. 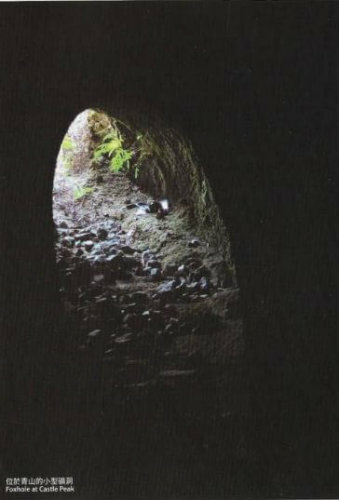 Photo of foxholes at this location can be seen in the book. Extracted from Hong Kong Mining History: “Tungsten mines of various scale once occured in Castle Peak. Part of eastern Castle Peak was mined and operated by contractor Marsman before 1941. Mining was conducted with simple methods and no machines were installed. In 1951 another application for a temporary mining license for eastern Castle Peak was received. It was rejected as it overlapped with the Artillery Range. This application also raised local inhabitants’ protests as it overlapped with existing temples, tombs and monasteries. They believed that excavation of this site would affect the local ‘Feng Shui”, and also plugged the water source for paddies and cultivation. …After almost 60 years, traces of the mine site have been lost. Although there are still villagers living in Kwong Shan Tsuen (literally meaning “Mine Hill Village”), it is a forgotten piece of history . Kwong Shan Tsuen, where the region was originally called “Shan Kai Wat”, is located at the southeastern foothills of “Kon Shan”, or “Kwong Shan” (literally meaning “Mine Hill”), …to the north of Castle Peak. It is one of a handful of villages related to the mining activities in Hong Kong and was populated with miners who came to work during the peak of mining activities. Kwong Shan Tsuen was a village with around 2,000 inhabitants at its peak. 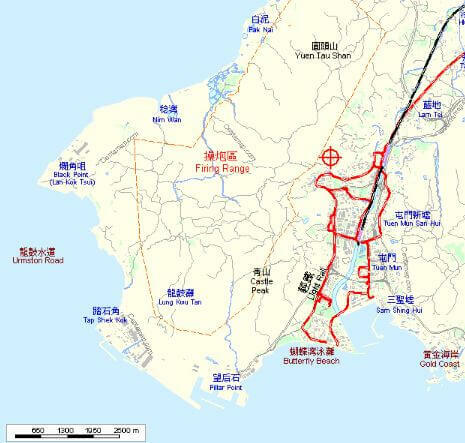 As the mining industry declined, and with the development of the western New Territories in the 1960s, most villagers moved elsewhere for better housing. Permission has kindly been given for the Foxhole at Castle Peak image to be reproduced here. Jackie CT Chu and Jacky SL Chan, Hong Kong Mining History, ProjecTerrae, 2015 Superb new book covering all major HK mines and several quarries, their geology, history, cultural impact and development.